The Huginn and Muninn Bronze Pendant Odin's Ravens Viking Amulet got its name because of two ravens Huginn and Muninn who hovered over Midgard relayed everything that was going on to their master. The first mention of this pair of birds dates back to the XIII century AD. Various writings of the time describes how the ravens sat on Odin’s shoulders, who gave them the power of speech, and told him about all the events in the world. 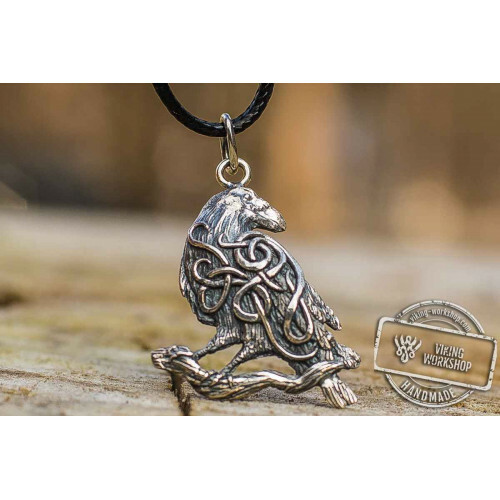 As soon as we offered the Huginn and Muninn Bronze Pendant Odin's Ravens Viking Amulet for sale on our website, it gained a huge popularity among our customers. The reason for this is the interpretation of the two ravens as evidence of high intelligence and wisdom, glory and valor. Wearing this amulet protects its wearer from the various difficulties of life, because the 'all-seeing' ravens are watching everything that’s going on, informing their master about possible troubles. Furthermore, the Huginn and Muninn Bronze Pendant Odin's Ravens Viking Amulet viking-workshop has a Valknut symbol, significantly enhancing protection. The different interpretations of this symbol note its different values, but it most often represents the union of the spiritual world, body and soul (three interlocked triangles). 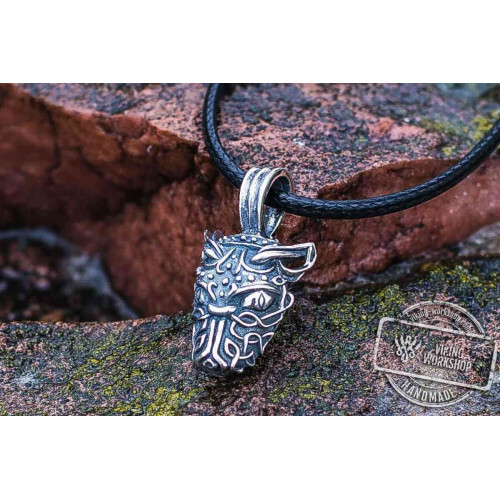 Besides the standard bronze amulet with the image of Huginn and Muninn you can also buy q silver option or a pendant dedicated to Thor's hammer - the son of Odin.